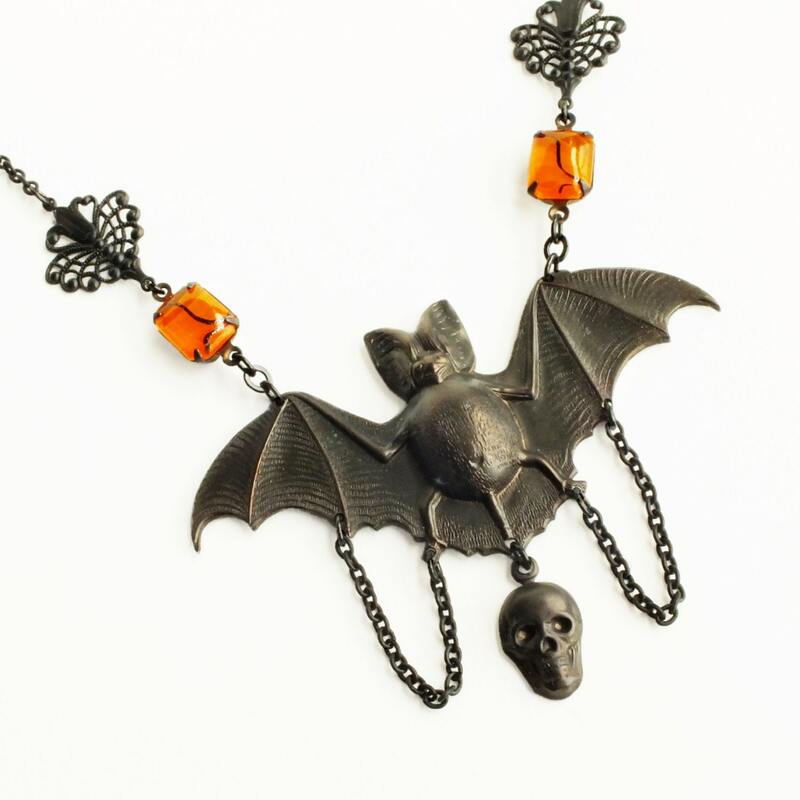 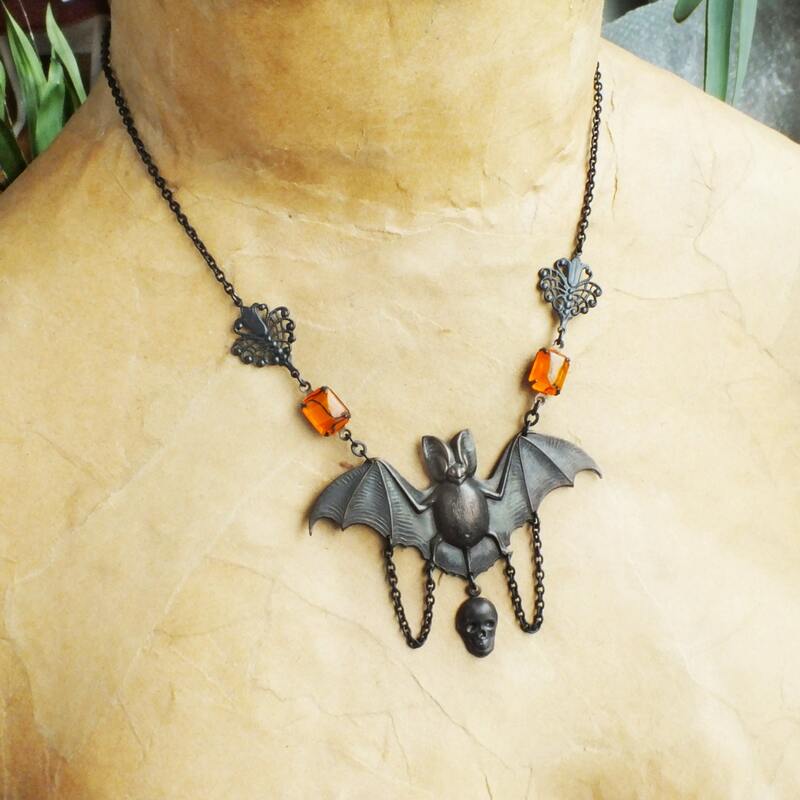 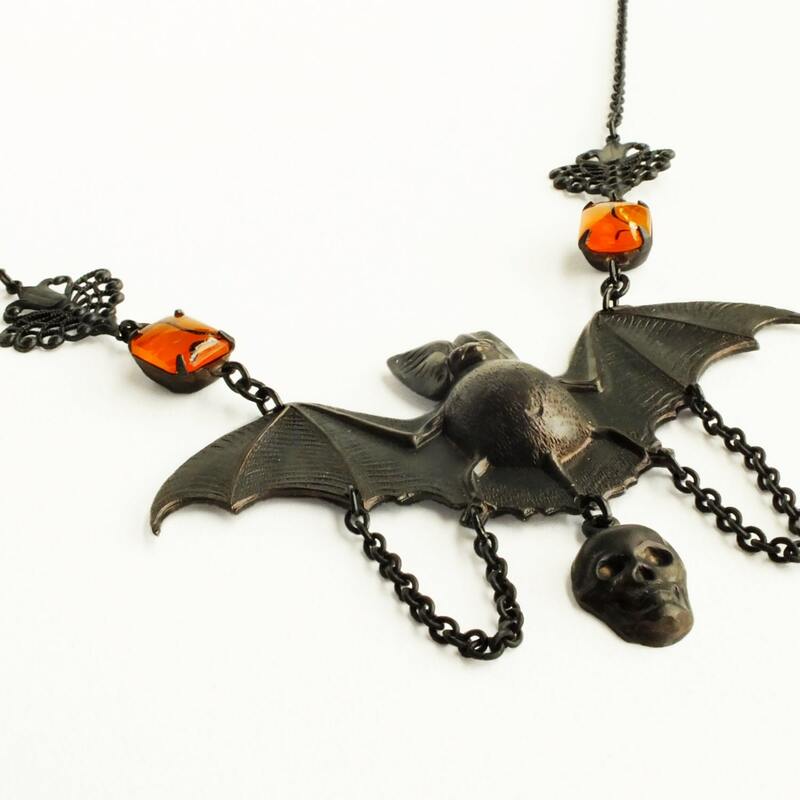 Large handmade statement creepy bat necklace with vintage style pendant and orange vintage glass jewels. 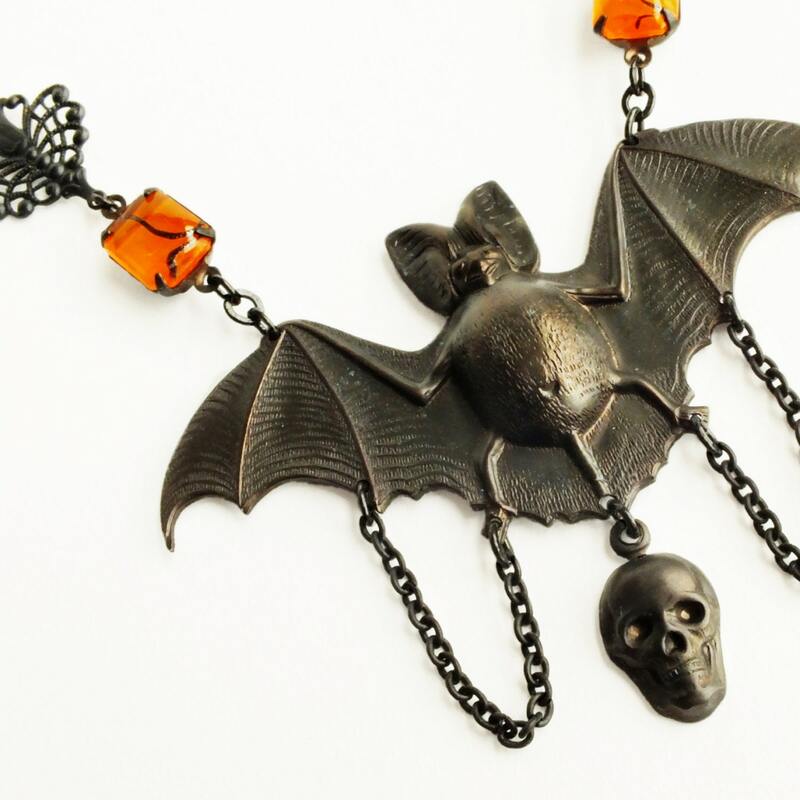 18 1/4 inches - 46 cm long. 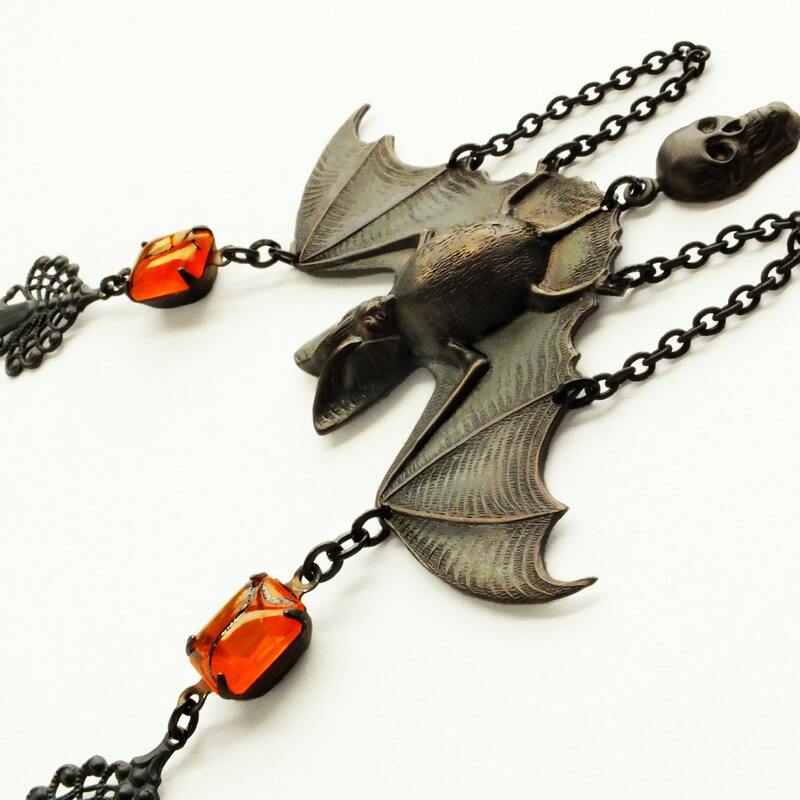 Adorned with oxidized brass skull and chain loops with rare vintage glowing orange glass rhinestones.